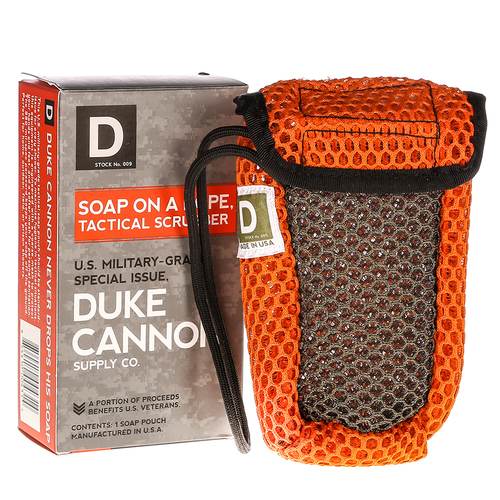 Duke Cannon Soap On A Rope Tactical Pouch features two in one design of a great mesh outer shell that is for scrubbing and a pouch to keep soap off the ground and clean. Notas: Read all directions, warnings and materials lists before use. Recomendações de uso: Use as illustrated on packaging. Duke Cannon Avaliações de Clientes.